In July 2018, the Government of India’s policy think tank National Institution for Transforming India (NITI Aayog) invited feedback on their blueprint for a “National Health Stack.” The National Health Stack would provide the digital infrastructure or technical spine to support India’s recently announced National Health Protection Scheme extending coverage to 500 million people. 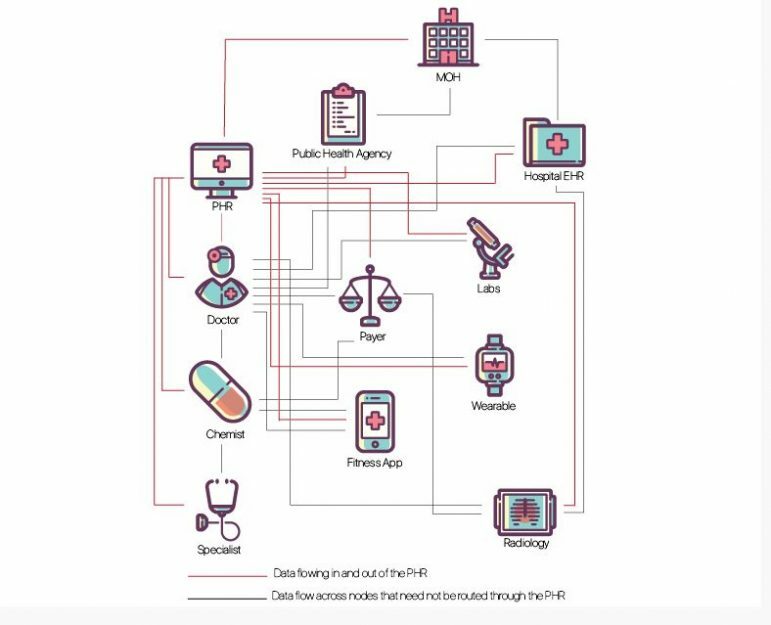 In response, an interdisciplinary team of researchers and practitioners from across Harvard and India have published a paper “Reimagining Health Data Exchange: An API-enabled Roadmap for India,” in the Journal of Medical Internet Research, building on 18 months of deliberations following an initial workshop in September 2016, sponsored by a grant from the Radcliffe Institute of Advanced Studies. “Reimagining Health Data Exchange” lays the foundational principles for a federated architecture for India’s digital health data flow, focusing on data minimization, unique universal identification, substitutability, patient-consent-driven exchange, and privacy by design. The policy proposal will serve as a guidepost for the India Digital Health Net (IDHN), a multi-faculty initiative at Harvard established with seed funding from the Harvard Provost Fund for Interfaculty Collaboration, with partners across the public and private sector in India. The IDHN team will build and test component prototypes for the proposed architecture, drawing from interdisciplinary expertise across Harvard and MIT. India’s population of over 1.3 billion is served by over 2.5 million health care workers of varying qualifications. The vast majority of clinical interactions are not digitized. In the few instances that they are, the data are not standardized, not interoperable, and not readily accessible to clinicians,researchers, or policy makers . While barriers to easy health information exchange (HIE) are hardly unique to India, the greenfield nature of India’s digital health infrastructure presents an excellent opportunity to avoid the pitfalls of complex, restrictive, digital health systems that have evolved elsewhere. Read Dr. Satchit Balsari’s related article, Staying healthy with data, from Etech of the Economic Times (India).